Recycling yesterdays technology without the worry of environmental legalities or expensive storage and transportation. Contact us today for advice, without obligation, on the recycling and re-use options of every business asset from telephones to computer hardware, through our safe disposal service. If your company is considering upgrading your telephone system (or computer systems) its easy to overlook the problem which is "What to do with the old kit?" 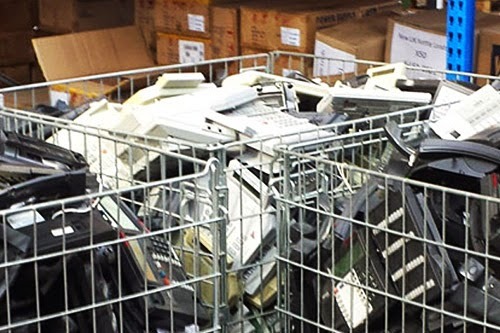 Working in the telecoms industry over the past 25 years has taught us that when supplying new telephone systems to business its important to consider recycling and disposal of the old system handsets. Systems Recycling Ltd can provider a one stop solution to all your telephone disposal and recycling needs.